In conjunction with Malaysia 60th Independence Day and Malaysia Day, KYP Students Development Center (SDC) has organized an Intellect Carnival 2017. The carnival was held on 8th, 11th, and 12th September 2017 at KYP Residential College, Tanjung Lumpur. The objectives of the Intellect Carnival are to nurture the spirit of patriotism and unity among students, as well as to uphold the Malaysian culture. A lot of activities for the students were held during the carnival, such as Debate Competition, Pantomime Competition, Pantun & Speech Competition, and Merdeka Singing Competition. The closing ceremony of Intellect Carnival 2017 was conducted on 12th September 2017 at KYP Residential College, Tanjung Lumpur. The ceremony started with an opening formation by Askar Wataniah 505 KYP Club followed by the closing speech by YH Dato’ Norhishamuddin Yaacob, KYP Managing Director. Askar Wataniah 505 KYP Club has a total number of 100 students joined. Thirteen (13) of them have managed to be recruited and nine (9) of them have successfully completed a one month recruitment course and received a private soldier ranks or known as Pranita. “I was really impressed with Askar Wataniah 505 KYP Club just now. They were good and hopefully the numbers of students joined will increase,” said Dato’ Hishamuddin. He also emphasized on the importance of English usage among students. “We are an English medium college and soon we will be a University College. Therefore I urge every student to communicate in English. This carnival is a great platform for you. Entering the activities like debate, speech, and pantun will help you to increase your confidence level as well as your communication skills,” said Dato’ Norhishamuddin. 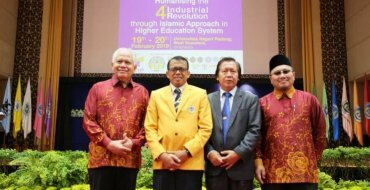 Apart from that, Dato’ Hishamudin also encouraged the students to be the best in every aspects, not only for the college, but also for themselves. “We want to be the best among the best. Just like our tagline, Pearl of the East, the best in the East Coast,” added him. The closing ceremony ended with a certificate giving to the nine (9) students who received the private soldier ranks (Pranita), followed by a prize giving ceremony to the winners of the competitions.